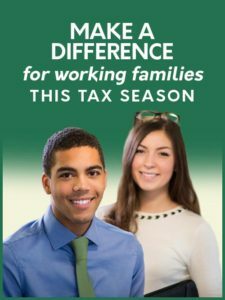 Self-Certification & Refresher Resources | Campaign for Working Families Inc.
Are you a returning volunteer or an experienced tax professional? You can utilize these resources to self certify as a VITA volunteer without the need to attend one of our trainings. Just be sure to email us your Volunteer Agreement from your Link & Learn account once you certify. TaxSlayer Practice Lab – This is the practice version of the software used at VITA sites during the tax season. Generic password is TRAINPROWEB. No Site ID required. Volunteer Portal – This is the website volunteers use to sign up for training and volunteer shifts. Publication 4012 – This is the IRS manual for tax preparation that is used for training and a resource utilized at all VITA sites. Publication 6744 – This is the test booklet for all certification exams on Link & Learn. 2018 training materials coming soon!